Only 115,000 jobs were added in the US in April, according to Friday’s report from the Bureau of Labor Statistics. This was significantly below expectations, and was the smallest gain in six months. It was well below the revised figure of 154,000 jobs added in March. The official unemployment rate, which bears little resemblance to the actual level of joblessness, fell from 8.2 to 8.1 percent. This was due largely to the fact that more people gave up looking for work, and therefore are not counted as unemployed. The report confirmed a bleak employment situation, with millions of people mired in a permanent state of joblessness. The Obama administration responded by insisting that the report showed an economy continuing to “heal,” making clear that it would take no action to address the crisis. With Europe returning to recession and the Chinese construction bubble stalling, the US economy is likely headed toward a new downturn. Late last month, the Commerce Department reported the US economy grew by only 2.2 percent in the first quarter, also significantly below estimates. Much of the gains in employment were in lower-paying sectors, including an increase of 29,000 jobs in retail trade and 20,000 jobs in leisure and hospitality. Professional and business services increased by 62,000, but 21,000 of these were in temporary help services. Manufacturing and health care increased marginally. Transportation employment fell significantly. Reflecting the continued impact of austerity measures, government payrolls fell by 15,000. This includes a cut of 10,000 local government education jobs and 4,000 federal government jobs. These figures do not yet reflect the impact of the mass layoff of teachers expected after the end of this school year. About 470,000 local education jobs have been wiped out since April of last year, about 5.5 percent of the total. Among the more significant details contained in the report was the fall in the “labor force participation rate”—the percentage of Americans 16 years or older who are working or looking for work. This figure fell 0.2 percentage points, to 63.6 percent, the lowest level since 1981. The participation rate for men is 70 percent, its lowest level on records going back to 1948. The participation rate is a more accurate measure of the jobs crisis, as it takes into account the millions of people who have given up hope of finding work and are not counted as unemployed. 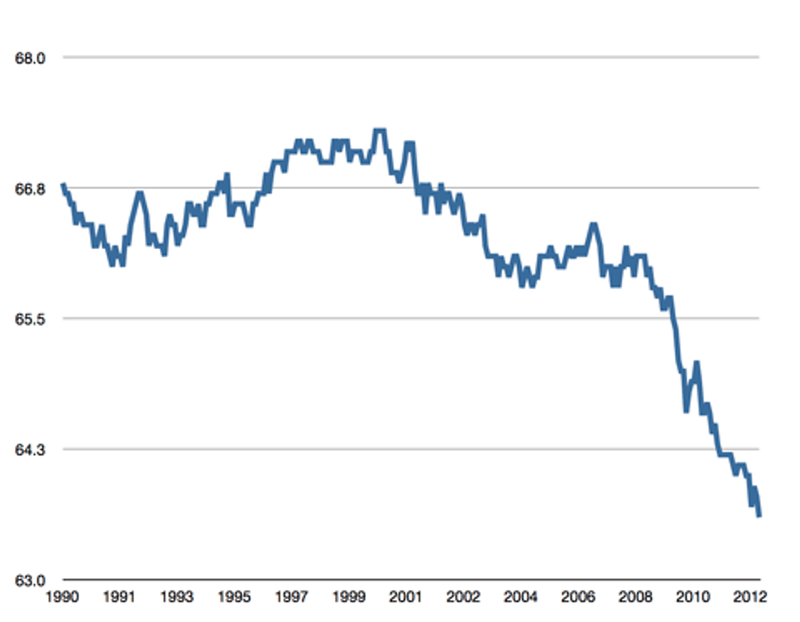 Long-term unemployment remains at near-record levels. Not including those who have left the labor force, there were 5.1 million people who were unemployed for more than 27 weeks, down only slightly from March. This is 41.3 percent of all those who are unemployed, just off the record highs set in the aftermath of the 2008 financial crash. Wages were also stagnant, with hourly earnings up only a penny from last month. 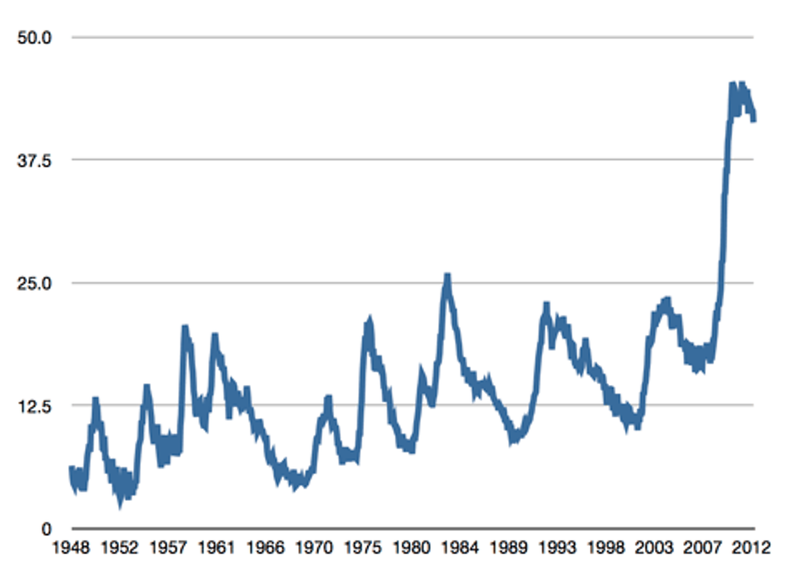 This is below the inflation rate, continuing a long-term trend of declining real income. These figures actually obscure the extent of pay cuts for working people, as they are averaged in with the increasing incomes of the top one percent. Krueger called on Congress to move ahead with the administration’s “jobs” proposals, which in fact consist largely of tax cuts for corporations and the roll-back of corporate regulations. From the beginning of the crisis, the administration rejected any federal program to put people to work. Both Democrats and Republicans are united on the need to slash government programs, including massive austerity measures to be implemented after the elections. This will further exacerbate the jobs crisis. This weekend, Obama is officially beginning his reelection campaign with stops in Virginia and Ohio. He will be touting the federal government’s bailout of the auto companies, which were premised on cutting in half the pay for new hires and slashing benefits for all workers and retirees. While the administration will cite the auto bailout for supposedly saving jobs, mass unemployment is in fact a crucial component of a deliberate strategy to use the economic crisis to enforce a permanent reduction in wages for workers. 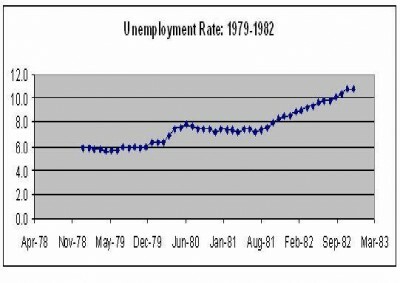 At the same time, the decline in the official unemployment rate is being used to throw workers off long-term unemployment in states throughout the country—on the grounds that these benefits are not needed under conditions of “economic recovery.” As part of a deal reached by the Republicans and the Obama administration, and signed by the president in March, extended federal benefits for the unemployed in many states have already been eliminated or will be eliminated this month. In Florida, for example, 44,000 people will be cut off extended benefits on May 12. In California, 93,000 workers are expected to lose benefits next week.